National Organizer of the ruling National Democratic Congress (NDC), Kofi Adams, could not contain the heat, but to join many Ghanaians complaining bitterly about the ‘unbearable’ electricity bills that consumers are faced with. According to him, it is not true that government officials and the ruling NDC leadership are exempted from paying the huge electricity bills as the measures put in place by the late President Mills enjoins all departments, agencies and ministers’ residence to use prepaid meters. Kofi Adams was responding to claims by the former NPP General Secretary, Lawyer Owusu Afriyie that the NDC leadership and communicators speak with impunity because they are far removed from the hardships plaguing Ghanaians. Sir John as he is popularly known, had earlier asserted on Okay Fm’s Ade Akye Abia Morning Show that the ruling NDC members, especially Kofi Adams, speaks arrogantly without a show of care for the hardship the electricity bills among many others have brought to Ghanaians. 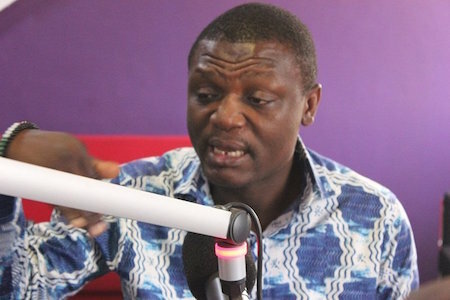 “Kofi Adams is now belittling Nana Akufo-Addo and attacking his personality for speaking out about the hardship Ghanaians are going through; it is not his fault because he is not paying electricity bills and so he can speak with arrogance,” he asserted. But Kofi Adams on the same platform pointed out all residence of ministers have prepaid meters and so if they don’t buy credit, they cannot have light. He however concluded it may be the attitude of the NPP when they were in power not to pay electricity bills but with the NDC, everybody is feeling the heat from the electricity bills from ECG. “So we are all feeling the pinch but the truth is that, NPP is not alternative because in the year 2000, they complained about fuel but when they came to power, they couldn’t do anything about it; they even increased the fuel price,” he cried out.